Do your tradeshow plans include a trip to sunny Southern California? 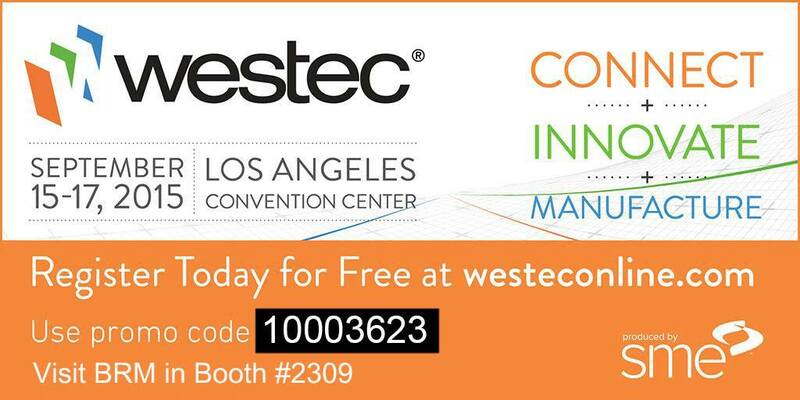 From September 15 to 17, Brush Research Manufacturing (BRM) will be at WESTEC, the West Coast’s premiere manufacturing event. If you’re serious about solving surface finishing and deburring challenges, visit BRM in Booth #2309 at the Los Angeles Convention Center. How can we help you?